At Chiropractic & Sports Services of Boston, our dedicated team of professionals is available to help you to start feeling well again. If you are looking for a chiropractor near Boston that will listen to your symptoms and pain and provide a customized treatment plan, put your trust in Dr. Kristie McLean, DC. Our chiropractic offices focus on providing each of our patients with a holistic, whole-body approach to healing and overcoming pain. Our team is ready to meet each one of your needs. Why Turn to a Chiropractor in Boston for Your Pain? If you are struggling with any of these types of concerns, schedule a consultation with us to discuss the cause and the best treatment plan for you. If you or your children participate in sports, especially contact sports, you are exposing your body to ongoing trauma with each hit. The goal of our sports chiropractor is to facilitate healing at the heart of where those injuries occur, usually in the spinal column. By using chiropractic adjustments, we can properly reposition the spine to reduce inflammation, swelling, and pinching of nerves. By doing this, we can help you to get back on the field or the court sooner. We recommend chiropractic care before and after sporting events for the best level of spinal protection. There are many reasons to visit your Boston chiropractor Perhaps you have sciatica limiting your ability to get through the day without pain medications. You may have neck pain after a car accident that just does not seem to be getting better. While medications can treat the symptoms of pain, they cannot treat the cause. The cause of this pain is the misalignment of the spinal column. When the spine is not properly aligned, it creates pressure on the discs that sit between teach of the vertebrae of the spine. The result is a debilitating pain. With the use of a chiropractic adjustment, we work to reduce that compression by properly aligning the spine. This strengthens your muscles, reduces inflammation, and speeds healing and pain relief to you. A chiropractic adjustment is just the start of the services we offer. 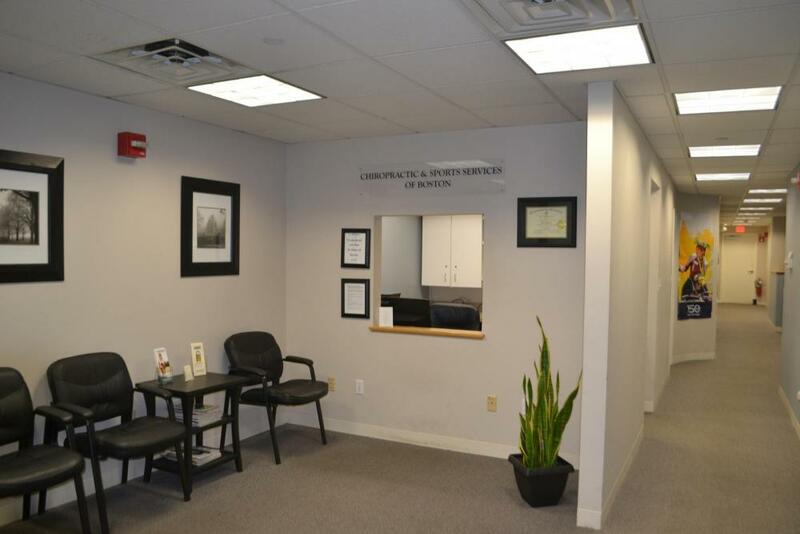 Schedule a Consultation with our Chiropractor in Boston Today! We recommend a consultation with Dr. McLean if you are struggling with pain or hope to improve your overall wellness. At Chiropractic & Sports Services of Boston, our team works with you to ensure the best level of care and support possible. Schedule a consultation with your chiropractor near Boston for the support you need. Contact us at 617-268-0333.